This event will be BSL-interpreted. The venue, Free Word, is also fully accessible for wheelchair users. If you are looking for a career in the publishing industry, then this is the course for you. Course convenors Jessica, James, and Jason have each worked in the publishing industry for over twenty years. This course, in partnership with The Literary Consultancy and held at the Free Word Centre, London, will offer up-to-date and authoritative insider information from three senior publishing leaders who have worked for huge conglomerates, niche indies and everything in between. Over this two-day course we will gallop through the structure of a modern day publisher to help target the right career choice for you. We will offer an overview of what function each department offers in the process of publishing a book. More importantly, we will provide you with the nitty-gritty details of how the business works – with a glossary of terms to debunk the myths of the publishing structures and terminologies, and a packed itinerary of intensive sessions to give you the most practical take-home knowledge of the publishing industry today. To give you a leg-up over other candidates, we will brief you on important topical issues facing the industry: from barriers to entry, to the differences facing large to small publishers, self-publishing, agents, authors, eBooks, and more. The class structure will be interactive and dynamic, and we will involve other relevant guest speakers from the industry to discuss their career paths. Finally, this is a course for everyone, no matter what your background or qualifications. No previous experience of working in publishing is necessary, but the course is also open to those in junior positions who would like a more holistic view of the landscape, and for career-changers at all stages of their professional journey. At the end of this intensive two day course, we will have provided you with practical tools you need in writing a good CV, strategies for interviews, and what to do on an internship or work experience role. Ultimately, this is a course that will provide you an up-to-date peek behind the curtain of the publishing industry from experts in the field. We will cover areas including How a Book Gets Published, What a Financially Successful Book Looks Like, Anatomy of a Publishing Firm, and the programme includes sessions looking at the following departments in detail – Editorial, Publicity, Marketing, Sales, Rights, and Production and Design. Coffee and tea will be provided, and a sandwich lunch is included. We will look at Routes into Publishing, how to write a CV and Covering Letter, Interview Techniques, Social Media, Trade Organisations and Networking Opportunities, and will hear from New York Times bestselling novelist Chris Cleave to the theme ‘What Makes a Good Publisher?’ Coffee and tea will be provided. Sharmaine Lovegrove (publisher, Dialogue Books), Briony Gowlett (senior editor, Hodder & Stoughton), Hamza Jahenzeb (Digital Marketing Assistant, Pan Macmillan) Yassine Belkacemi (Senior Publicity Manager, John Murray), and award-novelist Chris Cleave (Everyone Brave is Forgiven, New York Times bestseller; Little Bee, Costa-shortlisted; “one of our most powerful, important and psychologically insightful novelists”). Joanna Seaton (Production Director, Hodder & Stoughton) has also contributed material to the course. Jason Bartholomew has 20 years of experience in publishing across New York and London. He is currently a Rights Director for Hodder & Stoughton, John Murray Press, Headline Publishing Group and Quercus Books; alongside working as the Publishing Director of Quercus US in North America. While in New York, Jason worked for Little, Brown, Grand Central Publishing, John Wiley & Sons and Bulfinch Press. He was named Bookseller Rights Professional of the Year in 2013. Jessica Killingley has 20 years’ experience in marketing departments at Penguin Random House and Hachette, where she was a Marketing Director, creating bestselling campaigns for household names including John Grisham, Stephen King, and Stephen Fry. She now runs her own Publishing Consultancy helping entrepreneurs write and publish books to grow their business. James Spackman is commissioning editor at Profile Books cycling imprint Pursuit. Founder of the Spare Room Project, offering accommodation to aspiring publishing professionals, James also runs workshops on presentation and copywriting. Formerly Sales and Marketing Director at John Murray and Hodder, MD of a division of Osprey Group, he is an experienced conference presenter specialising in trade marketing and reader experience. 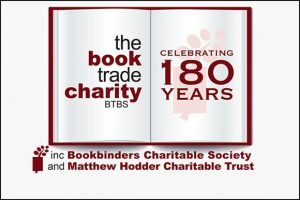 We are extremely grateful to the Book Trade Charity (BTSB) who are happy to consider applications from those requiring support with travel and/or accommodation to ‘Get a Job in Publishing’ who fulfil BTSB’s eligiblity criteria. For more information please check guidelines on the Book Trade Entry page of the site carefully, and contact BTSB directly about this. The charity relies on the generosity of the book trade, the general public and caring individuals to provide vital funding. Find out more about what the charity does, and how to make a donation, here. We are extremely grateful to the following sponsors who are each offering free tickets to low-income aspiring publishers unable to afford the commercial ticket cost. All applicants for sponsored tickets must be over the age of 18 and resident in the UK. Acceptance of a bursary ticket is conditional of financial eligibility, and you must be able to attend both days of ‘Get a Job in Publishing’ April 21st and 22nd at the Free Word Centre, London. Please check eligibility criteria below before applying and state the ticket you are applying for in the subject header of your email. Please explain in the body of the email why you are applying for a sponsored place and how you feel you might benefit from the course. Please email your application to TLC Director Aki Schilz: aki@literaryconsultancy.co.uk. By applying you are agreeing you have read and understood the eligibility criteria of the ticket you are applying for. We are happy to support you with your application if you need assistance. All sponsored tickets have been allocated unless otherwise indicated, but please keep an eye on our Twitter feed @TLCUK for updates.